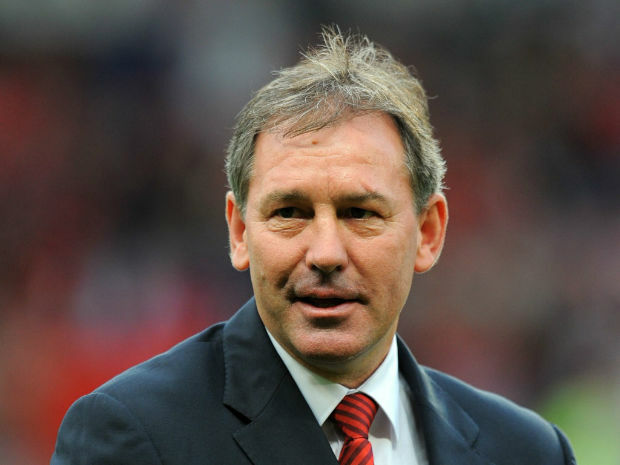 Bryan Robson was born on January 11, 1957. He became the longest serving captain at Manchester United after joining in 1981. Later, managed Middlesbrough, Sheffield United and the Thailand national team. Starting his career at West Bromwich Albion, he has won two FA Premiership winners medals. Robson had a lot of flexibility and versatility on field, he was steadfast with a ball. He made 90 appearances with England making him the fifth most capped English Player. He got the nicknames “Robbo” and “Captain Marvel”. He went through a surgery for throat cancer in 2011. He also endorsed Adidas and has appeared in advertisements. By the end of the 1973-74 season, Robson made his debut with the reserve team of West Bromwich Albion against Everton. He signed a contract in 1974. In the 1974-75, after Don Howe left Albion, he was selected for the senior team. He helped the team win against York City and scored the first goal in the following game against Cardiff City. In the 1976-77 season, he became regular with the team before fracturing his left leg. After proper recovery he scored his first professional hat-trick against Ipswich Town. Sadly, one month later he fractured his right leg and couldn’t play with the England under-23 team. In 1978-79, Robson started 41 out of 42 games and wore the number 7 jersey. In the 1980-81 season he scored 10 goals in 40 league games. He moved to Manchester United in 1981 on a transfer fee of 1.5 million. He lost his debut match against Tottenham Hotspur by 1-0. He took the number 7 jersey at Manchester as well. He scored his first goal with the club against Sunderland in a 5-1 win. He won over Arsenal in the FA Cup semifinal by 2-1 and then earned his first trophy with Manchester United, as captain, after winning against Brighton in the final. In 1985 he captained the club to another FA Cup victory. Robson soon became the first United captain to win three FA Cups for the club after winning the tournament in 1990. Due to injuries he failed to make regular appearances with the club. In the 1990-91 season, United reached the Football League Cup final and also won the European Cup Winners’ Cup where they beat FC Barcelona in the finals. During the 1991-92 season, Robson made his 90th and final appearance with the England team. The club won the League Cup over Nottingham Forrest but lost the league title to Leeds United. Robson couldn’t play due to an injury. After all his contribution and exceptional leadership with united he was dropped from the FA Cup final squad. Alex Ferguson agreed that it was one of the hardest decision he ever made. Robson last appeared with the United jersey in the 1993-94 season against Coventry City. In 1994 he became a player-manager for Middlesbrough after playing for Manchester United for 13 years. Robson retired 10 days before his 40th birthday. His last game was against Arsenal in a Premier League on 1 January 1997. Robson has played with England’s under 21 team and England B team. He made his full international debut in 1980 against Republic of Ireland. Robson became a regular after the European Championships. He played the first 12 matches that followed and the 8 qualifier games of 1982 World Cup. Robson created a record after scoring a goal against France after just 27 seconds during the World Cup. It stood for twenty years. He captained the English team, for the first time, in a win over Greece. He helped the team qualify for the 1986 world cup. His participation was restricted due to a shoulder injury; the team was eliminated after a 2-1 defeat against Argentina in the quarter finals. Before retiring from international football in 1991, he helped the team qualify for the 1990 world cup. As a manager he helped Middlesbrough reach League Cup final and FA cup final, but lost both. In the 1997-98 season, he reached the final of League Cup again but lost to Chelsea. He later became the manager of Bradford City, West Bromwich Albion, Sheffield United and the Thailand national team. The OBE in the January 1990 New Year Honors.